As CPD providers, it is important for us to know how much CPD factors into a physician’s daily life in the clinic. For example, over one third of fellow physicians have worked in private practice independently as a hospitalist physician, primary care physician, or both before fellowship. Therefore they are already used to participating in regular CPD activities as attending physicians and using CPD to maintain their medical licenses. This results in different needs for education for each physician subgroup. Understanding these unique educational needs, as well as the differences in learning preferences for veteran physicians, fellows, and those just beginning to practice, are essential for CPD providers. CPD providers' own continuing professional development activities focus a lot on skills that we must develop as educators – from navigating the complex regulatory compliance realities, and designing effective educational formats, to measuring educational, clinical, and patient-related outcomes. It is also just as important for CE professionals of all levels to know how to personalize education to more- and less-experienced learners in order to make us better partners in education for physicians of all different experience levels. This learning lab will teach participants how physicians’ clinical realities impact everything from CPD design, content, and outcomes, and how to partner more effectively with them to design educational interventions that yield higher levels of outcomes. This will be of particular interest to those CPD providers who do not work in a clinical setting. Attendees will hear perspectives about the future of CPD (via an archived Q&A session) from a practicing oncologist. Recognize the clinical realities faced by different types of practicing physicians that impact likelihood of attendance/participation in CPD. Identify the clinical nuances that impact the outcomes of CPD on physician learning, change, and patient care. Identify challenges physicians face when providers seek self-reported behavior change outcomes data. Phil Talamo is currently the President of Physicians’ Education Resource, LLC (PER), a leading oncology-focused medical education company that provides Continuing Medical Education (CME) for oncologists, hematologists, and other physicians who treat patients with cancer. Phil earned his BA at Cornell University with a double-major in Government and History, where he also rowed for 4 years on the Lightweight Crew team. Phil currently serves on the Board of the Cornell Rowing Alumni Mentorship Program (CRAMP), along with the Board of Directors at the National Association for Medical Education Companies (NAMEC). Phil is also sponsored golfer for Mizuno Golf USA, and plays men’s league ice hockey for a team called the Hattrick Swayzees. Bio: Phil Talamo is currently the President of Physicians’ Education Resource, LLC (PER), a leading oncology-focused medical education company that provides Continuing Medical Education (CME) for oncologists, hematologists, and other physicians who treat patients with cancer. Phil earned his BA at Cornell University with a double-major in Government and History, where he also rowed for 4 years on the Lightweight Crew team. 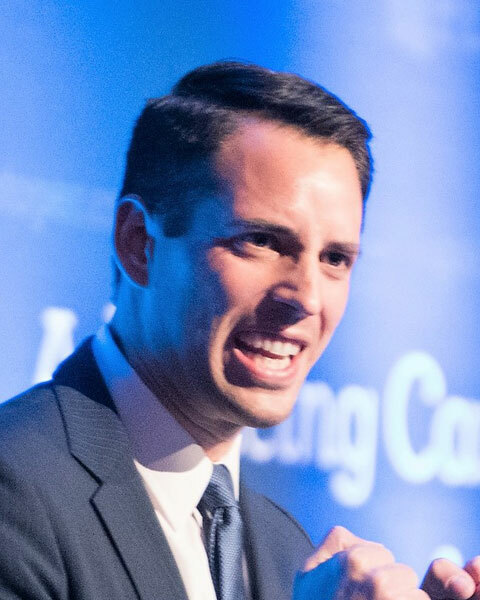 Phil currently serves on the Board of the Cornell Rowing Alumni Mentorship Program (CRAMP), along with the Board of Directors at the National Association for Medical Education Companies (NAMEC). Phil is also sponsored golfer for Mizuno Golf USA, and plays men’s league ice hockey for a team called the Hattrick Swayzees. Ann C. Lichti, CHCP is the Vice President of Outcomes, Accreditation, and Compliance for Physicians’ Education Resource®, LLC (PER®). She is responsible for providing strategic direction for their outcomes measurement efforts, including methodology, data collection, statistical analysis, and reporting. In 1997, Ann began her career in healthcare, working for a clinical research organization. She has worked in certified/accredited continuing healthcare education for more than 15 years in a variety of positions, including Assistant Director of CME, Assistant Director of Operations, and Vice President of Healthcare Education Strategy. During the last decade, Ann has conducted ACEhp Annual Conference workshops on multiple topics including CME compliance, outcomes measurement, and effective collaboration between accredited and non-accredited providers. 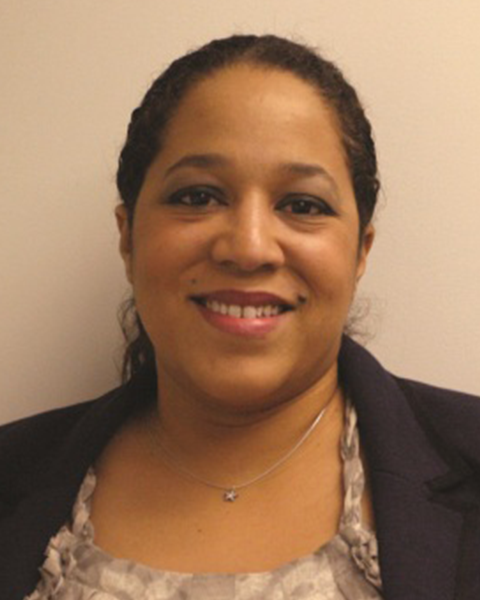 She has been a panelist and poster presenter at CBI’s BioPharmaceutical Grants Conference and was a presenter at ACPE’s 15th Conference on Continuing Pharmacy Education. As author of the column, “CME Consult” in Medical Meetings that started in 2006, Ann has written more than 30 articles on topics ranging from CME compliance, outcomes measurement, educational design, performance improvement, effective partnering strategies, interprofessional education, and the integration of the National Quality Strategy in CME. Ann received her Certification of Healthcare CPD Professionals (CHCP) credential in September of 2008, and has served on the CHCP Exam Writing Team. Ann has been an ACEhp member since 2006 and has served on the ACEhp MECCA Provider Section Planning Committee, Member Engagement Subcommittee, Leadership Committee, and the Research Special Interest Group. Ann also is a past member of the ACEhp Almanac Editorial Board. Bio: Ann C. Lichti, CHCP is the Vice President of Outcomes, Accreditation, and Compliance for Physicians’ Education Resource®, LLC (PER®). She is responsible for providing strategic direction for their outcomes measurement efforts, including methodology, data collection, statistical analysis, and reporting. In 1997, Ann began her career in healthcare, working for a clinical research organization. She has worked in certified/accredited continuing healthcare education for more than 15 years in a variety of positions, including Assistant Director of CME, Assistant Director of Operations, and Vice President of Healthcare Education Strategy. During the last decade, Ann has conducted ACEhp Annual Conference workshops on multiple topics including CME compliance, outcomes measurement, and effective collaboration between accredited and non-accredited providers. She has been a panelist and poster presenter at CBI’s BioPharmaceutical Grants Conference and was a presenter at ACPE’s 15th Conference on Continuing Pharmacy Education. As author of the column, “CME Consult” in Medical Meetings that started in 2006, Ann has written more than 30 articles on topics ranging from CME compliance, outcomes measurement, educational design, performance improvement, effective partnering strategies, interprofessional education, and the integration of the National Quality Strategy in CME. Ann received her Certification of Healthcare CPD Professionals (CHCP) credential in September of 2008, and has served on the CHCP Exam Writing Team. Ann has been an ACEhp member since 2006 and has served on the ACEhp MECCA Provider Section Planning Committee, Member Engagement Subcommittee, Leadership Committee, and the Research Special Interest Group. Ann also is a past member of the ACEhp Almanac Editorial Board. 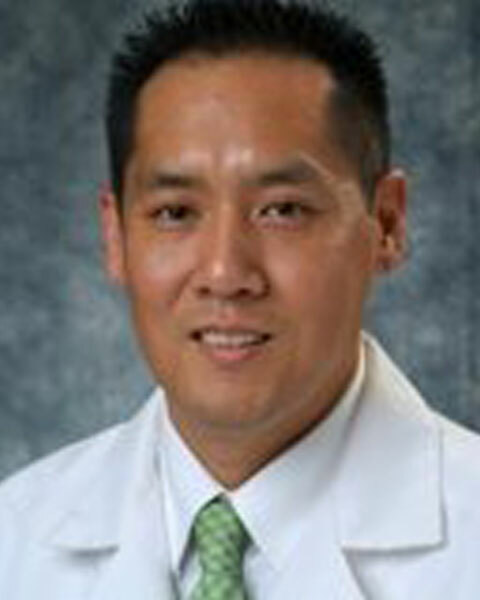 Dr. Chandler Park is a medical oncologist and hematologist that works with the University of Kentucky College of Medicine, Markey Cancer Center Molecular tumor board, and Hardin Memorial Hospital. He is an assistant professor at the University of Kentucky College of Medicine. Dr. Park is an expert peer reviewer for American Society of Clinical Oncology (ASCO) University and Journal of Hospital Practice. He is an accomplished lecturer and author having written numerous scientific research articles and manuscripts in leading medical journals. He has presented many of his research findings at national meetings, including at the American Society of Clinical Oncology (ASCO) annual meeting. In 2016, he was recognized nationally at the American College of Physicians (ACP) annual meeting by his physician colleagues as a distinguished fellow of the American College of Physicians (FACP) for providing outstanding patient care and significant medical research contributions. Dr. Park also works as a journalist for Doximity an online medical social network that includes over 800,000 clinicians in America. He has been featured as an expert in published printed media including Newsweek, U.S. News and World Report, Reader's Digest, and Medscape. He is also the founder of CancerVisit®, a medical information company that writes original medical content to help cancer patients at CancerVisit.com. During his medical training, Dr. Park served on various academic committees including medical school admissions, residency selection, and residency review. He also provides advice on how to get into medical school for pre-medical students at U.S. News & World Report and gives medical students advice on what do after medical school at Medscape. He is a very active volunteer in his community and is a member of the Board of Directors at the Kentucky and Indiana Leukemia and Lymphoma society. Bio: Dr. Chandler Park is a medical oncologist and hematologist that works with the University of Kentucky College of Medicine, Markey Cancer Center Molecular tumor board, and Hardin Memorial Hospital. He is an assistant professor at the University of Kentucky College of Medicine. Dr. Park is an expert peer reviewer for American Society of Clinical Oncology (ASCO) University and Journal of Hospital Practice. He is an accomplished lecturer and author having written numerous scientific research articles and manuscripts in leading medical journals. He has presented many of his research findings at national meetings, including at the American Society of Clinical Oncology (ASCO) annual meeting. In 2016, he was recognized nationally at the American College of Physicians (ACP) annual meeting by his physician colleagues as a distinguished fellow of the American College of Physicians (FACP) for providing outstanding patient care and significant medical research contributions. Dr. Park also works as a journalist for Doximity an online medical social network that includes over 800,000 clinicians in America. He has been featured as an expert in published printed media including Newsweek, U.S. News and World Report, Reader's Digest, and Medscape. He is also the founder of CancerVisit®, a medical information company that writes original medical content to help cancer patients at CancerVisit.com. During his medical training, Dr. Park served on various academic committees including medical school admissions, residency selection, and residency review. He also provides advice on how to get into medical school for pre-medical students at U.S. News & World Report and gives medical students advice on what do after medical school at Medscape. He is a very active volunteer in his community and is a member of the Board of Directors at the Kentucky and Indiana Leukemia and Lymphoma society.